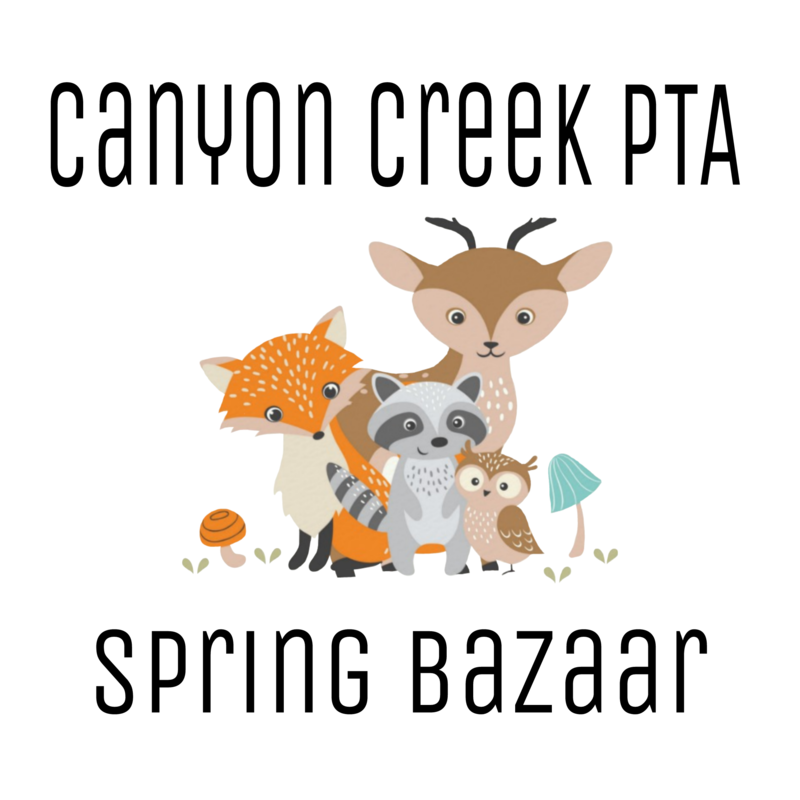 We are excited to announce the 3rd annual Canyon Creek PTA Spring Bazaar on Saturday, April 6th, 10am - 1pm in the Canyon Creek Elementary Gym. We will be hosting 30+ vendors. Raffle tickets will be available at the door. Come shop and enjoy visiting with friends and community members. If you are interested in being a vendor at our Spring Bazaar, check out out our Spring Bazaar Vendor article and return the application by the Monday, March 25th deadline!